GJD739N (1974) Leyland 350FG . Dormobile B17FL. Ex-GLC ILEA . 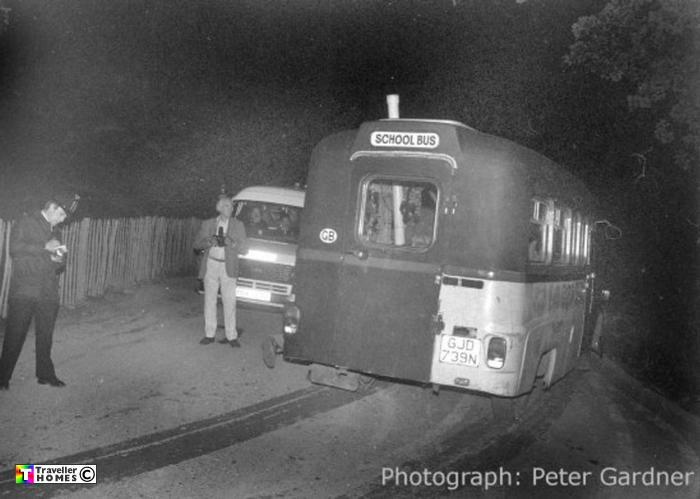 Seen 1986 He was driving away from Nursling Tip after being thrown out by the police .. Photo = Peter Gardner .